Your passport will be collected at our hostel upon arrival. 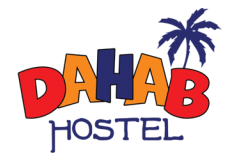 The hostel staff will retain a copy of your passport details as a standard procedure upon check-in. A change in drinking water and food can upset your stomach when traveling. We advise you to drink only bottled water, which can be purchased at the hostel. In the first few days, we recommend you eat lightly and avoid any raw vegetables or fruits, unless you can peel them. If you should come in counter with the "Pharaoh's Curse", no worries! We will be able to help you obtain certain medications specific for this problem. These medications can be purchased in most pharmacies throughout Egypt. These are Antibiotics by the way! Medical assistance is available throughout Egypt. If you should require medical attention, please speak with the front desk manager for assistance. They will help you to locate a physician or medical center. The local currency used is the Egyptian Pound (EGP). The Egyptian Pound is divided into 100 piasters. Prices can be shown in either pounds (EGP 2.00) or piasters (200 PT). There are banks located in most cities in Egypt. Make sure to take your passport with you when exchanging money. Most restaurants, and souvenir shops do accept credit cards. Using your credit card within the local markets (among vendors) is not advisable. ATMs are plentiful in Cairo, especially in the local area around the hostel. And they accept a wide variety of credit cards. Tips or “Baksheesh” are an integral part of Egyptian culture. You are expected to tip tip pretty much everybody who does a service for you, and Egyptians will not hesitate to ask you for “Baksheesh”. Keep a stack of small bills handy for tips, no change is given! There is a constant hassle of dealing with all the touts and scams. Walking down any busy street you'll be approached by friendly young Egyptian men eager to help you, especially in Downtown and in front of the hostel. Trying to get you to spend money at their shop or take you a different hotel claiming that the hotel you have booked doesn’t exit anymore! They are smart and hard to get rid of. You have to avoid them by saying - no thank you - “la Shukran”. While they are totally harmless and not dangerous at all, it really tests your good manners! If you decide to venture out on your own, taxis are very affordable and safe. Remember to carry the right amount of change if possible, to avoid being taken. Overall, Egypt is a very casual country! However, you may want to plan accordingly for the weather. Day dress should include cotton and breathable fabric clothing, comfortable shoes, hat, and sun block. Shorts are acceptable. Evening dress is smart-casual. A light jacket or sweater is advisable for the months of October - April. Only video cameras must be registered at Cairo International Airport upon arrival. This process takes only a few minutes. There will be a small charge to use both still cameras and video cameras at most museums and sites, including the Egyptian Museum of Antiquities. In addition, flashes are prohibited inside most museums and tombs. 220 volts is the electrical current used within the country. The 220 volts is a two-pronged plug. If you need to bring an appliance, you may want to purchase an adapter before traveling. Postage stamps can be obtained from the post office and from souvenir shops that sell postcards. Depending on the location you are sending mail to, out-bound mail takes approximately 10-14 days to arrive to its destination. Egypt is known for its handy crafts and wonderful shopping opportunities. Gold and silver jewelry, brass ware, copper work, alabaster, leather goods, papyrus, perfumes, and hand made woolen or silk rugs are among the long list of goods native to this country. Bartering is a way of life here. Feel free to barter away!